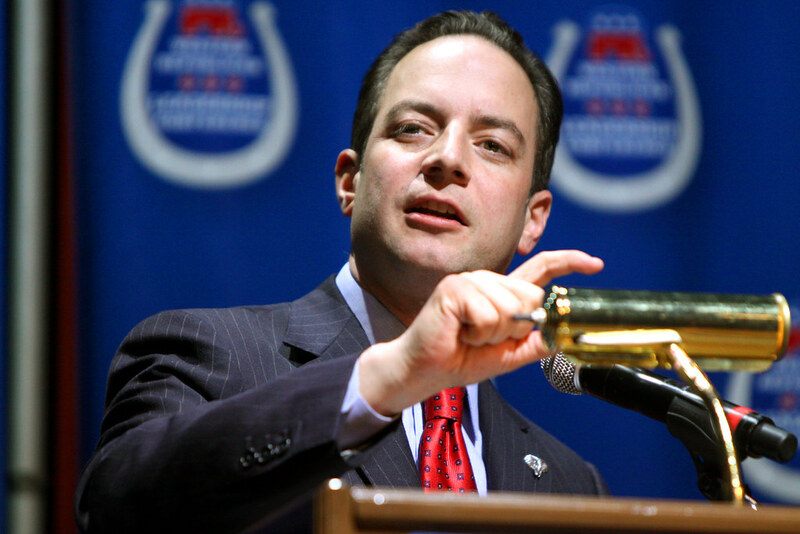 Candidates who don’t back Trump may not be allowed to run again according to RNC Chair Reince Priebus. Republican National Committee Chairman Reince Priebus suggested on Sunday that primary candidates in the “never Trump” category might be barred from running for the Republican nomination again. Speaking to CBS “Face the Nation“ host John Dickerson about Trump’s primary opponents, Priebus stated that those doubters could face serious consequences for their failure to support Donald Trump’s campaign in the lead-up to the national election. “Those people need to get on board. And if they’re thinking they’re going to run again someday, you know, I think that we’re going to evaluate the process of the nomination process, and I don’t think it’s going to be that easy for them,” he continued. Priebus did not specify exactly who might be impacted, but former Florida Gov. Jeb Bush, Texas Sen. Ted Cruz and Ohio Gov. John Kasich are the most prominent primary candidates who have refused to support the Trump campaign. Well, I — look, people are — in our party are talking about what we’re going to do about this. I mean there’s a ballot access issue in South Carolina. In order to be on the ballot in South Carolina, you actually have to pledge your support to the nominee, no matter who that person is? So what’s the penalty for that? It’s not a threat. It’s just a question that we have a process in place. And if a private entity puts forward a process and has agreement with the participants in that process, and those participants don’t follow through with the promises that they made in that process, what — what should a private party do about that if those same people come around in four or eight years? CNN reports that “Ted Cruz vigorously defended his decision not to stand by a pledge to endorse the Republican presidential nominee in a remarkable 25-minute back-and-forth with his own constituents” on July 21st, the day after he was booed off the stage at the Republican National Convention for refusing to endorse Trump. Kasich’s campaign responded to the implied threat on Sunday stating that Priebus should be thanking Kasich for “an inclusive, conservative vision that can actually win a national election,” according to Politico. “The Governor is traveling the nation supporting down ballot Republicans and preventing a potential national wipeout from occurring on Reince’s watch,” Weaver added.